[map] [street view] Ben Hamilton Road, near Three Notch Road, southwest of Mobile. [Picture] Image showing a partial RDS decode from a Sony Bluetooth headset unit, showing only the PS (station name) and no Radio Text. 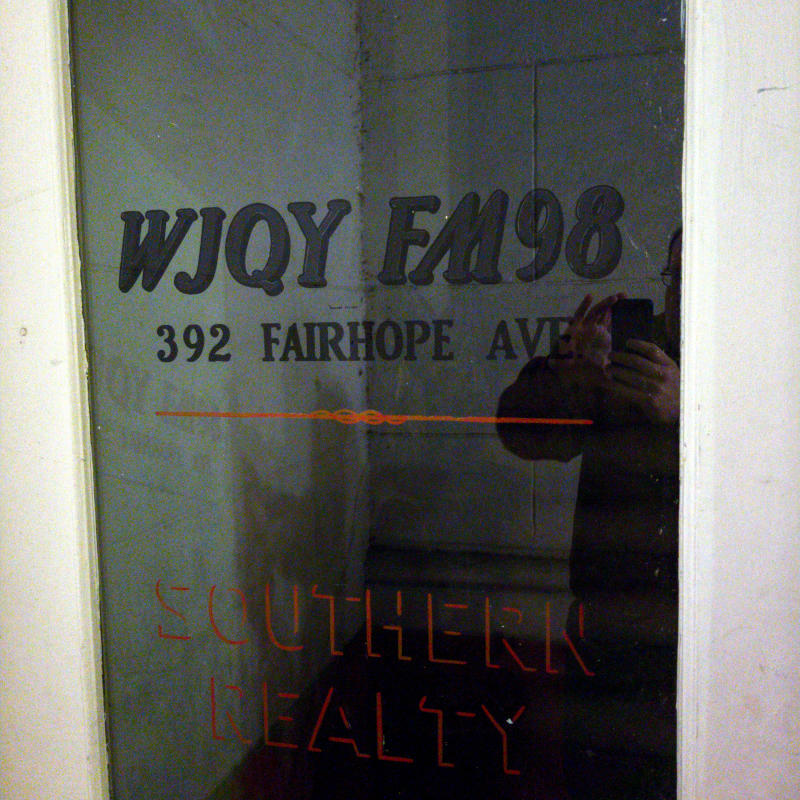 [Picture] Snapshot of a sign on a door in downtown Fairhope, presumably where the studios were located during the WJQY days. Station originated as a suburban class A in the early 70's with the WJQY (Joy) calls and spent it's first two years in beautiful music. Competed against 96.1, an already established station. Spent the next two years as WJQY, Q Country, competing against 94.9 WKSJ with no success. A new owner changed it to light rock WDLT in 1984. Information contributer J Alex Bowab, who has provided many station histories, owned this station between 1986-1992. At one time in the early 90's, WDLT shared studio space with WZEW in the former First National Bank building in downtown Mobile. Sale of the station in 1992 led to a change to black adult contemporary with the same call letters, and a studio move back to the transmitter site off Wolf Ridge Road in southwest Mobile. WDLT later upgraded to class C2 status with a tower site west of Mobile. The station serves Mobile and Pascagoula and shows up in the ratings in both cities. 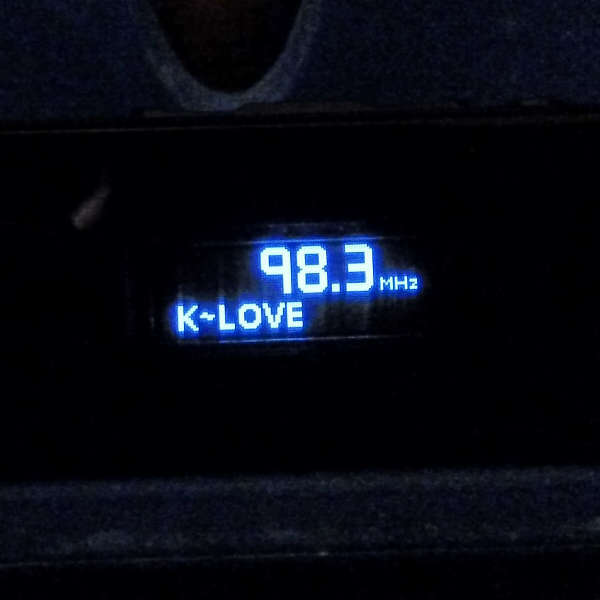 As part of a shakeup of Mobile stations, WABD moved to 97.5 on 14 July 2012, while K-Love took over WDLT's slot at 98.3. WDLT's format migrated to 104.1. This gives WDLT coverage of Pensacola as well as Mobile and Pascagoula. In exchange for this station and its smaller coverage area, EMF also picked up a full power station in Nashville from Cumulus. After the changes, the station received a permit to drop its slightly directional antenna for a non-directional setup, improving coverage to the northeast and southwest slightly.